Social media advertising has proven to become quite a hit for advertisers with the introduction of native advertising – this is the term that defines adverts which blend into the architecture and theme of the website, seamlessly integrating with the content already on the website. Social media advertising has taken advantage of this to compete against the likes of PPC and other forms of advertising. One of the big forms of social media advertising comes with Facebook. 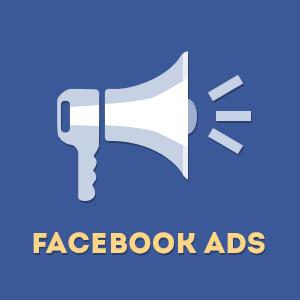 There are a whole range of different adverts that can be displayed on Facebook, considering that the content that can be displayed on Facebook, organically, can be very varied (as opposed to the likes of, say, Twitter). With this, here is a list of the different types of adverts that can appear on Facebook. Video ads – Video adverts are very similar to image adverts, but, of course, are a video instead of an image. Engagement time for video ads on Facebook tends to drop around 15 seconds so the shorter the message, the better. Page Like ads – Using either video or images in your page like advert, the page like ads can increase the amount of people you can post to from your Facebook page, increasing your reach. Carousel ads – The carousel ads are very similar to the image advert, where the difference lies that carousel adverts can show up to 10 images of video in the advert, on a slideshow style. Image ads – These can be considered one of the simplest Facebook ads, where an image appears with a short description of the image onto Facebook user’s timelines. The idea with this is to attract the web user using the image. Canvas ads – The canvas advert enables the web user to expand the advert to their full screen so they can explore the advert in more detail using the full screen of their device. Canvas adverts are optimized and used for mobile application. Collection ads – Collection adverts are similar to carousel adverts that they can display multiple images and videos at once. The way they do this is not on a slideshow but through showing smaller versions of the images below the main image, so every image/video can be seen at once. Lead generation ads – These are adverts which have some sort of button that, when clicked, will produce a lead. This can be from a submition to subscribing. Offer ads – Offer ads make possible for businesses to promote their discounts and/or offers that web users might be unaware off. Event response ads – These are adverts that are specific to events. They enable the event to be promoted, with details of where and when the event is along with an image to promote it too. Post engagement ads – Post engagement adverts are standard posts that have been promoted to a wider audience to increase the exposure of such a post. Slideshow ads – As it says in the name, slideshow adverts enable advertisers to cluster a bunch of images of adverts together, into a slideshow to promote to a specified audience. How Can You Earn Money Via Google Adwords?